My post-abortion healing journey began in 2012, when God placed me with Keven Covert in our first Bible Study of “Forgiven and Set Free”, by Linda Cochrane. For twenty-two years, I suffered from the guilt, shame, embarrassment, anguish, and regret for my husband’s and my decision to end our daughter’s life. Plagued with years of depression, suicidal thoughts, and addictions, I cried out to God to supply me with a place of healing and restoration, and He more than answered my cry of desperation! I became a Christian at the age of sixteen, but through the circumstances of the break-up with my fiancé and the development of cancer, I became very angry at God and chose to walk away from Him. My rebelliousness continued for ten years and led me to many dark places and foolish decisions with lasting consequences. The most regrettable was the abortion of our daughter in 1990. However, our God is faithful and what Satan had intended for evil, God turned it all around for good and for His glory and His purposes. God used something so horrible to bring about the salvation of my husband, and my rededication to the Lord, and to further His ministry of post-abortion healing to other women like myself. 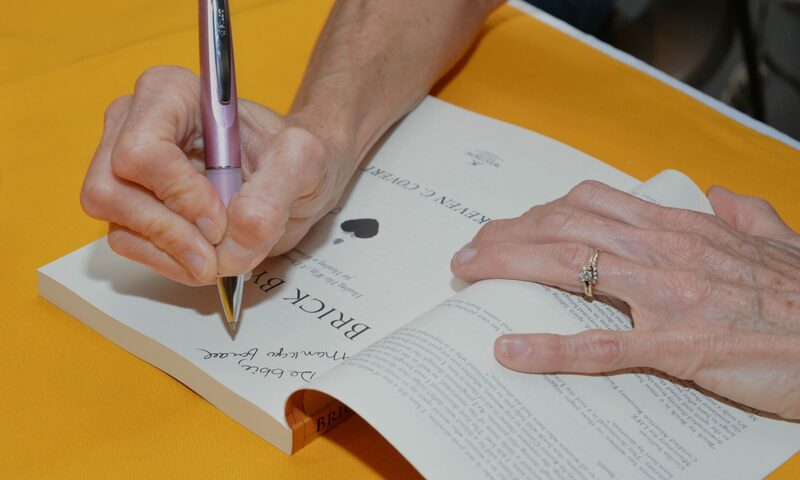 Finally, after twenty-two years of seemingly endless pain and anguish, God healed my broken heart and mind through the first post-abortion healing Bible study. This spurred in me a passion for letting others know there are healing, forgiveness, and restoration after abortion. Where was this after my abortion? Why did it take me twenty-two years to be able to find the help that I so desperately wanted and needed? Why do people in the church not know about this and why do they not speak about abortion and recovery from the effects of abortion? For, there are many effects after abortion, but society and the medical community do not want to acknowledge them. Many women have signs of PTSD, Post Traumatic Stress Disorder also due to the trauma caused by their abortion. The same symptoms a serviceman has when returning from combat. The lies of “ it is not a baby, it is only a bunch of tissues/ after the abortion, you will be fine/ you will be able to have children after the abortion/ it is a quick and safe procedure/ after it’s over, you will go on with your life as though this never happened.” These are all lies from the pit of hell, from the lips of Satan, the father of all lies! It is my prayer and hopes that the church as a whole, will begin to acknowledge, address and support those women and men who are struggling with abortion in their past. Unfortunately, there is still a stigma attached to the sin of abortion in the church. Post-abortive women and men are made to feel as a second class citizen as if the sin of abortion is not covered by the blood of Jesus. My prayer is for this thinking and attitude to be changed! Jesus died on the cross for ALL sins; it does NOT say in the Bible “Jesus died for all sins except for abortion.” NO, His death on the cross covers everything! 45% of women, who have had abortions, have been in the church at the time of their abortion. Do you know how many are sitting in your congregation right now, suffering in silence because they are so scared of being judged, so embarrassed, so full of shame and regret and feeling as if there is no hope for them? I was one of those women. I don’t want anyone to have to continue in this type of tortured existence. There is hope and there is freedom and it is only through Jesus Christ. His blood covers the sin of abortion and knowing the truth will set you free. If this seems like an unreachable dream, it is not; it is real and attainable. Freedom, peace, and joy are waiting for you. I will not lie to you; it is hard work, and you will have to visit some hard places and go back to the pain of the past, but God will be there each step of the way, for He will never leave you, nor forsake you! He was there and continues to be here with each of us, for it is His desire to see you completely healed and restored, as He has a purpose for all of this! I praise God for His love, mercy and grace poured out upon me, for His refining and shaping me, and to be able to be used by Him, for His purposes, and for His glory! I thank Him so much for all of these lovely ladies that He has brought into my life and for the opportunity to serve Him with them in the development of this workbook to help you receive the healing, joy, and encouragement you are seeking. 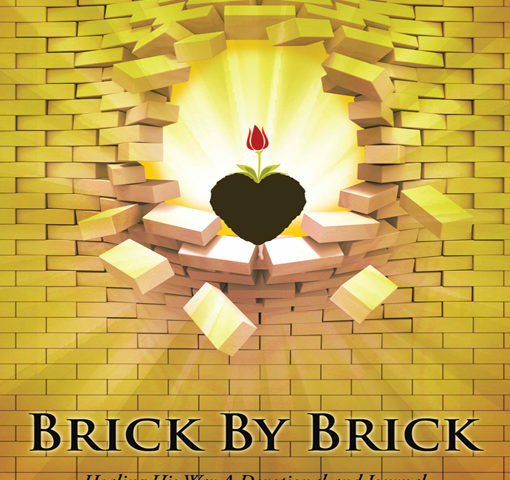 Brick By Brick is a unique curriculum for the woman with an abortion in her past. It is a one-on-one walk with Jesus and a soothing balm to your hurting and broken soul. 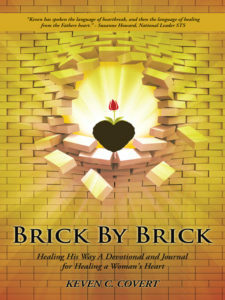 In this study, God ministers deeply, lovingly, and gently through the author’s words which were inspired by God. May God bless you in this endeavor, and remember, He is beside you, walking with you, hand in hand.